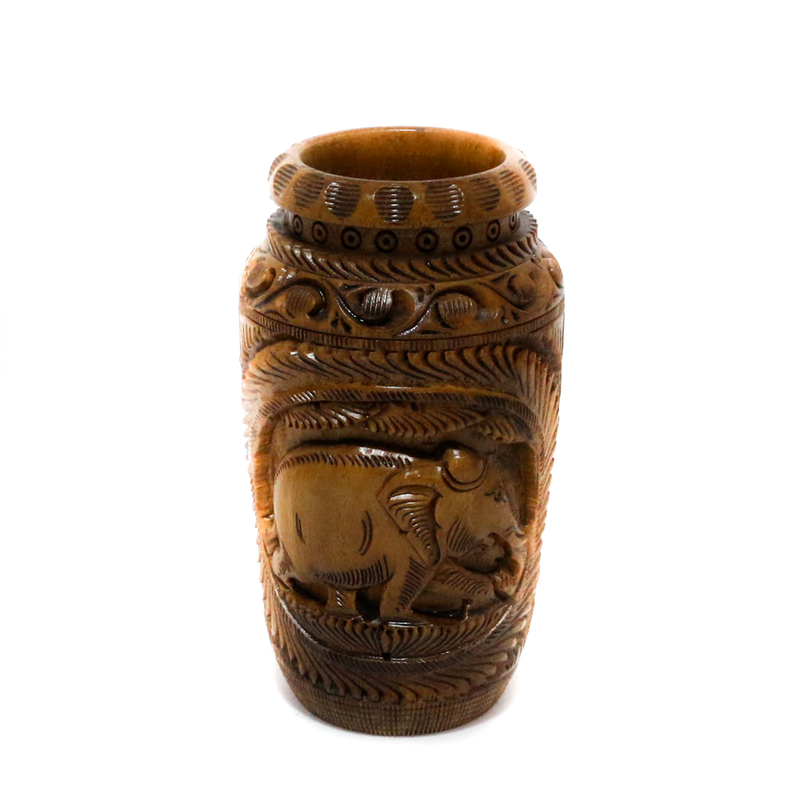 This wooden flower vase is something any antique lover would fall for. This piece is made of pure wood and has a bright burnish hue Read More..to it which completes the figure. The exterior of this product is beautifully manifested with designs carved out of it. Show Less..